Death of Richard III’s wife Anne Neville at Westminster, probably of tuberculosis. She was buried at Westminster Abbey, but the location of her grave is unknown. It is often said that Richard openly wept at her funeral, though the origin of this assumption is unclear. There is a plaque for her at Westminster Abbey donated by the Richard III Society. Unfortunately it does not get mentioned in the audio guide, so you have to look out for it. Marriage of Anne Neville, younger daughter of Richard Neville, Earl of Warwick (‘The Kingmaker”) and Anne Beauchamp, to Edward of Westminster, Prince of Wales, at Amboise. Investiture of Richard III’s son Edward as prince of Wales. After a solemn mass in York Minster, conducted by the Bishop of Durham, William Dudley, the royal family processed through the streets of York to the archbishop’s palace, where Edward was invested. Betrothal of Anne Neville to Edward, prince of Wales, the son of Henry VI, at Angers Cathedral. They married at Bayeux approx. 13 December. 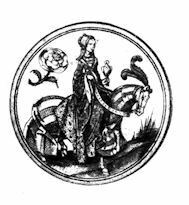 Some time after Edward’s death at the battle of Tewkesbury on 7 May 1471, Anne married Richard, duke of Gloucester (future Richard III). Birth of Anne Neville, younger daughter of Richard Neville, Earl of Warwick (‘The Kingmaker”) and Anne Beauchamp, at Warwick Castle. She was later the wife of Richard III. The latest branch meeting of the Richard III Society of New South Wales was convened on Saturday, 13 August 2011, at the Sydney Mechanics Institute of Arts. Opening remarks were made by Chair Judith Hughes, who then informed us of the sad news of the passing of Reginald Fulford, husband of member and former chairperson Carol Gerard. There was a minute of silence to mark our respect and shared sorrow at this news. A card was passed around for all to add their own comments which will be sent to Carol. Our latest branch meeting was held on a chill and windy Saturday, 11 June 2011, which also marked the 555th birthday of Richard’s Lady Wife, Queen Anne Neville. The Sydney Mechanics’ Institute’s smallest meeting room was filled to overflowing with members happy to be warm indoors. Opening remarks were made by our Chairperson Judith, who then invited Judy to deliver her first report as our new Treasurer.